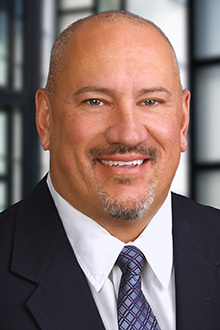 John Poulos is an equity partner in the Sacramento office of Lewis Brisbois and is co-chair of the Complex Business & Commercial Litigation Practice where he focuses exclusively on commercial litigation. He is also vice-chair of Lewis Brisbois’ Banking & Finance Practice and serves on The Firm's Executive Management Committee. Mr. Poulos is an experienced federal and state court trial lawyer with more than two decades of experience handling complex business litigation matters. Mr. Poulos has extensive appellate and jury trial experience which includes holding a spot in California’s top ten trial victories of 2009. Mr. Poulos also recently secured one of the few class action defense verdicts in California’s history. Mr. Poulos' practice spans a multitude of subject matter areas including class actions, complex real estate matters, construction disputes, breach of contract, employment decimation, fraud and a wide variety of other commercial business disputes.­ Mr. Poulos has many years of experience representing owners, contractors, subcontractors, lenders and material suppliers in both public and private works construction disputes and has prosecuted and defended False Claims Act claims. He also has experience prosecuting and defending mechanics' liens, stop notices, performance and payment bond claims, and construction defect claims. Mr. Poulos has represented design professionals and contractors regarding state licensing issues and has extensive experience representing developers, title insurance companies, builders, lenders and property owners in a variety of real estate disputes, including government investigations, disputes as to title, lien priority, breach of contract, development rights and real estate related torts, including significant mold-related claims and property contamination matters. Mr. Poulos has experience litigating claims under CERCLA, RCRA, the Clean Water Act, California's Endangered Species Act and various other state environmental statutes. Finally, Mr. Poulos has significant experience handling binding arbitrations and has successfully resolved many complex disputes through other alternative dispute resolution processes, including early neutral evaluation programs and mediation. Mr. Poulos has been named one of Northern California’s Super Lawyers for many years running and is consistently recognized as a top California trial lawyer from various peer and industry organizations. Mr. Poulos was a law clerk to Justices Edmund Burke, Alexander Bryner and Robert Eastaugh of the Alaska Supreme Court. Mr. Poulos is a former Trustee of the Davis Joint Unified School District.